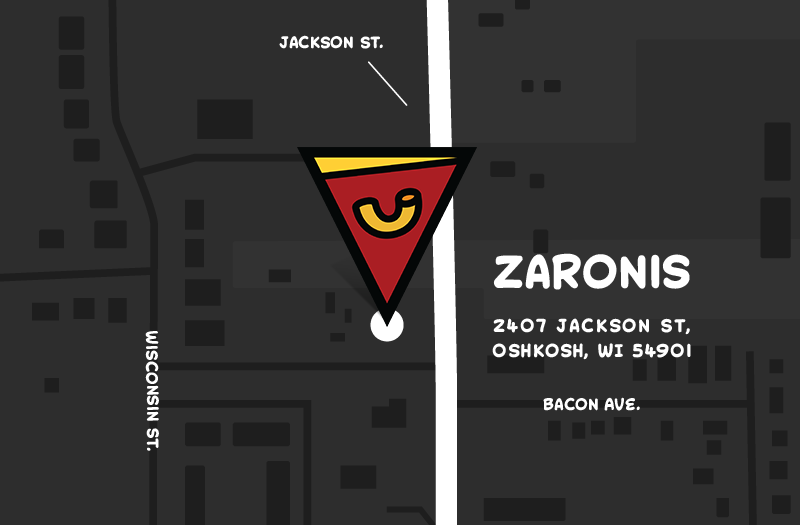 ZaRonis is our hero’s lair, and home base for fighting the world’s villainous foods. Our macaroni and pizza pub is open to all those looking to break free from the tyranny of cheap pizza and powdered mac. Put together with the best of the best on a mission to take, make and deliver our secret weapons of delicious right to your door. Either send us a signal or come down to our headquarters, where food is our hero! Madame ZaRoni is the other half of ZaRonis’ dynamic duo. She’s a middle-aged mom who, like many, drives a minivan. Somewhere between sending the kids off to school and keeping Captain ZaRoni on task, Madame ZaRoni became entrapped by the evil powdered cheese in boxed macaroni. She used all her might to break free of the snares of dehydrated dairy, and now she’s on a mission to help you do the same. Madame ZaRoni learned of six mystical, delicious and totally real cheeses that would surely delight the dairy lovers. She searched high and low to find this power combo of cheese, and once found, she created the ultimate mac sauce. She uses this scrumptious sauce to fight the evil powdered cheese empire and save the world from ingesting its dry dust. With a steadfast determination, Madame ZaRoni is tirelessly creating new combinations of mac and cheese to free the masses from their powdered cheese imprisonment. She works side by side with Captain ZaRoni, forming a true power couple destined to win the hearts of the people! 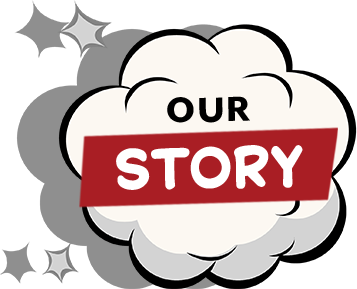 The story of Captain ZaRoni is not your typical superhero tale. He wasn’t bitten by a radioactive spider, he didn’t get splashed by unknown chemical compounds, and he definitely was not born with powers. You see, Captain ZaRoni was a normal Joe Schmo like you and me, living his average life, working a 9-5. He has the glorious shape we all know as Dad Bod. There was one thing that always made his day better – the search for the best pizza in the world. He traveled the globe looking for the best ways to make it, and during his travels, he discovered something no one else had: People didn’t want cheap cardboard pizzas and boring appetizers. They wanted something with great taste, smell, and best of all, value. Suddenly, Captain ZaRoni felt electricity course through him. 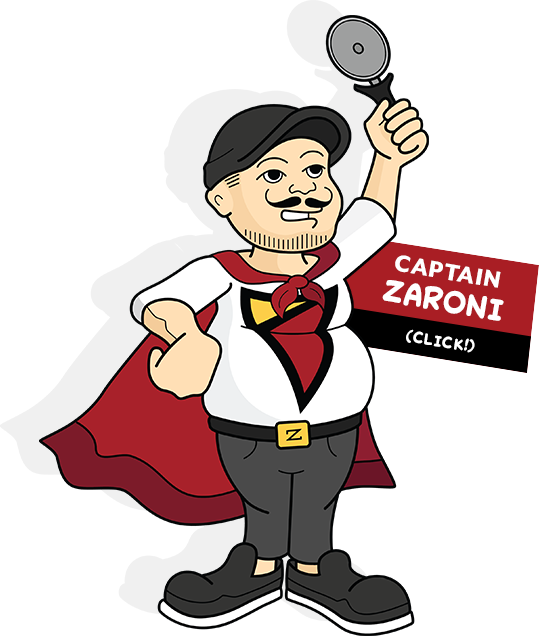 A vision of a talking pizza came to him and said, “You now have the power to make the world’s best pizza, deliver it right to people’s doors and save them from the evil pizza empire.” Right there, Captain ZaRoni decided he would become the superhero of hunger, fighting for justice of great pizzas. To this day, he continues his mission in Oshkosh, Wisconsin, at ZaRonis. He’s always there making sure you enjoy the best quality ingredients, a fantastic atmosphere and friendly staff. If you get lucky you can catch a glimpse of him in action – just take a look behind the window. Are you prevented from lawfully becoming employed in the USA bedcause of visa or immigration status?